Sony will move its European headquarters from the UK to avoid disruptions caused by Brexit. The company said the move would help avoid customs issues tied to Britain's exit from the EU. On a recent trip to the UK, Japan's Prime Minister Shinzo Abe expressed concern about a no-deal Brexit. 50,000 people in the UK. 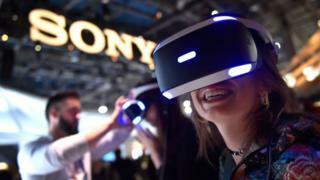 In a statement Sony said the move would mean "we can continue our business as usual without disruption once the UK leaves the EU. of our people will remain unchanged from today. "Sony spokesperson Takashi Iida said the move would make Sony a" company based in the EU "so the common customs procedures will apply to Sony's European operations after Britain leaves the bloc. When Panasonic announced its move, it said "fewer than approximately 10" people would be affected out of a staff of 30. Japanese bank Norinchukin announced earlier this month that it would have set up a wholly-owned subsidiary in the Netherlands in response to Brexit and other economic changes in Europe. A number of Japanese carmakers have also expressed concern about the impact of a hard Brexit. Toyota has warned that no-deal Brexit would affect investment and would temporarily stop output at its plant in Burnaston. Honda has already planned a six-day stop in April to plan for "all possible outcomes caused by logistics and border issues ".